Is dogscaping the backyard for summer your next DIY project? If yes, then you’ve come to the right place! Like we do, dogs enjoy hanging out at the garden or backyard during summer and other seasons as a matter of fact. To avoid stress and allow some physical activities, your 4-legged best friend need time to be out under the sun cooling down and playing around. For gardeners with a serious fond of plants, there’s more than a few things to do apart from opening the door to let loose of their dogs. 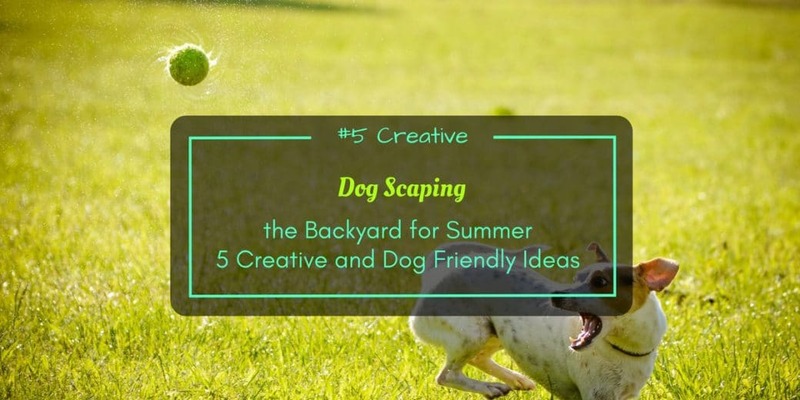 Let’s talk about some creative ideas and helpful tips in regards to dogscaping the backyard for summer. One big problem that gardeners face when they let their dogs out in the yard is the potential damages of plants brought by digging soil, running around and eating leaves, flowers and fruits. The best solution for this is to keep your dogs away from the plants. There are different ways to do that of course. A simple method is to put fences around your plants. 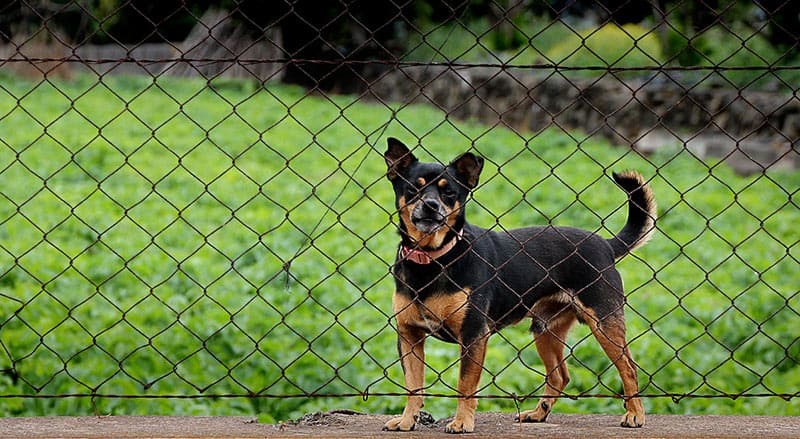 The fence must be high enough to cross over by dogs and very sturdy to last long. You can paint the fences to create an additional pleasing look of the entire garden. Another method is to grow plants in beds and place a bit high so they become unreachable by dogs. This is a great idea to keep your plants safe. Dogs naturally like to dig and they as well could damage your lawn at some point. But this can be prevented if there’s a sandy area exclusively for them, which should be included when dog scaping the backyard for summer. You may build a small sandbox that you can place a few feet away from your plants. Add some dog toys and treats so they stay there and won’t bother going around your plants. Whether your dogs sleep inside your house at night or not, a backyard shelter is still a must. You can build a simple but spacious dog house or place a small blanket with a pillow under a big tree where your pets can lie down for some rest. Remember that heat during summer as well as rain on some days can affect the body temperature and general health of dogs. 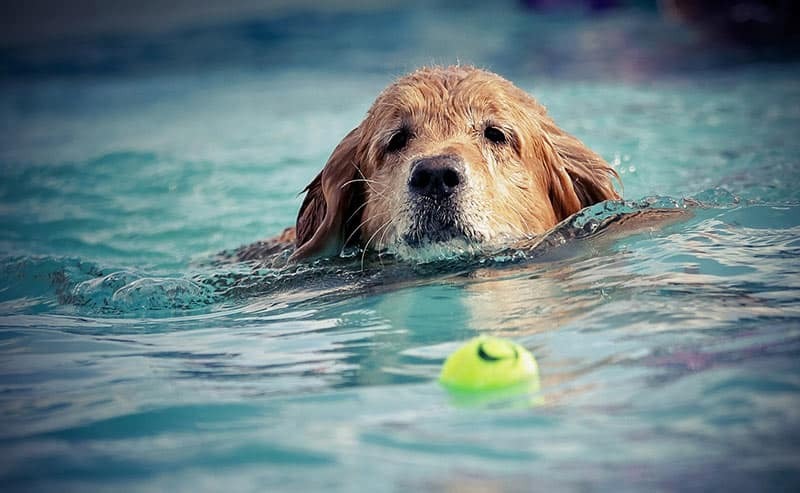 Cooling dogs through water is also a good idea to keep in mind. A small, shallow pool of water placed on the backyard is something you should consider as well. 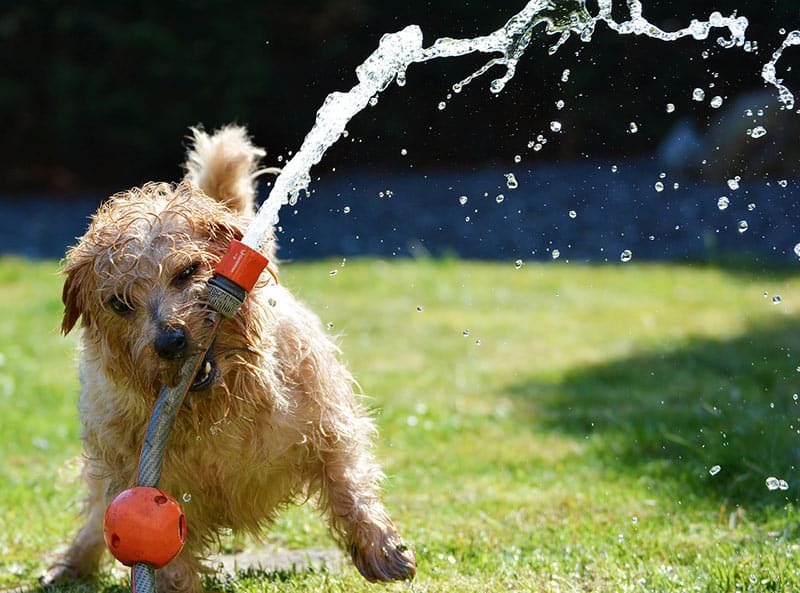 If you have a water system installed then simply turn on at times your dogs are out in the garden. Dogs typically urinate and release manure on lawns and soil grounds. While still young, your dogs must have been given a potty training on specific spots before dogscaping the backyard for summer. Therefore, create an area or a separate sandbox at the backyard where they can use it as a bathroom. If you have dogs and garden at the same time, make sure that most or all of your plants are non-toxic. Among the plants that can be harmful to your dog’s health or life are blueberries, rosemary, jasmine, sunflowers, lily of the valley, iris, foxglove, zinnia, monkshood, and oat or wheat grass. Most chemical pesticides are able to develop fleas, ticks and mites on dogs. These parasites do not only annoy your dogs and harm their health in the long run but also feed on human skin. You better use organic and non-chemical pesticides when treating your plants. Do not forget to read the labels so you know if they’re safe to use around dogs. It also helpful to use a bottle spray of water mixed with a few drops of rosemary oil, lavender oil or peppermint oil as they can eliminate fleas. Dogscaping the backyard for summer should be a fun and essential activity rather than an arduous job. Remember that you want to keep your plants healthy and long lasting but at the same time you don’t have to prohibit your dogs from enjoying the summer.